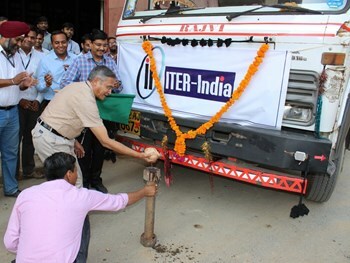 Dhiraj Bora, director of the Institute for Plasma Research, performs the traditional coconut-breaking ceremony at the departure of the nine-truck convoy. Also present were ITER India director Shishir Deshpande, Project Manager Ujjwal Baruah, Deputy Project Manager Narinder Singh and General Manager Brig. Umar Farook from prime contractor ECIL. At the PRIMA neutral beam test facility in Padua, Italy, the components of ITER's most powerful heating system—neutral beam injection—will be tested in advance of ITER operation. Europe, Japan and India are contributing all components according to the specifications of Procurement Arrangements signed with the ITER Organization; Italy has built the facility as a voluntary contribution to the neutral beam development program. Since late 2014, components have been arriving on site for installation at the SPIDER test bed, a 1:1-scale ion source that will be used to develop the technology for the production of negative ions. Deliveries have included a beam dump supplied by India, a high-voltage deck supplied by Europe, and power supply components from Japan. 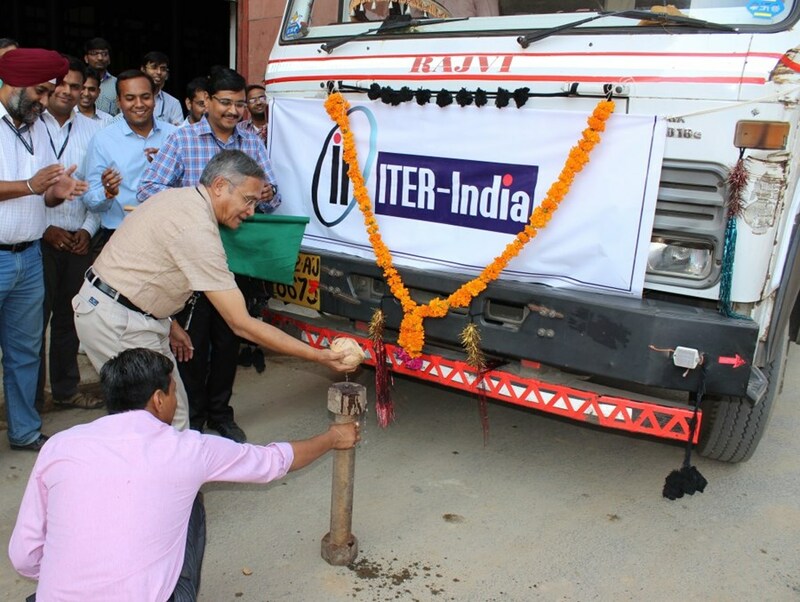 On 1 March, a flag-off ceremony was held at ITER India premises in Gandhinagar, as the latest shipment of in-kind components procured by India left for PRIMA. Nine trucks containing components for SPIDER's 100 kV power supply—transformers, switching modules, controllers, high-voltage racks, cables disconnector switches—are now en route to the port of Mundra, on India's west coast, for shipment to Italy.